Buried treasure in Kentucky is hid in many areas of the State. For years there have been stories about bootleggers hiding stolen money in Kentucky. Also, there are stories about mobster caches, and wealthy merchants from the 1800’s burying their fortunes and never being recovered. Below I have listed a few of those stories. Just be sure you understand what the laws say about digging artifacts. I have provided a few links below that will explain those laws. Do you plan on searching for one of these hidden treasures? 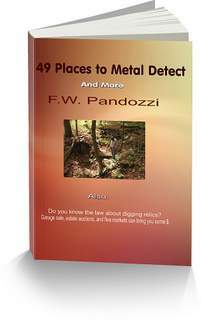 If so, it’s a good idea to have a metal detector. If you don’t own one, and are thinking of purchasing one, don’t spend a lot of money. 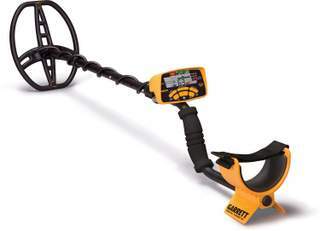 $300 or less is all you need to spend on your first detector. Have fun in your search for buried treasure in Kentucky. Anthony Caccoma, a gambler, left a diary in 1940 when he died, that stated he buried a bunch of treasures near the town of Horse Cave. One of the treasures worth $3200 was located east of the town. It was cached near the foundation of an old home. A Prohibition mobster was reported to have buried treasure worth approximately $4 million in gold coins and paper currency. The cache was buried somewhere near Covington on the Ohio River, opposite from Cincinnati. Around the time of the Civil War, William Pettit buried approximately $80,000 in gold coins somewhere on his 2000 acre farm. The farm was located approximately three miles south of Lexington. Jack Neal, a wealthy trader, supposedly buried $200,000 in silver and gold bars on his farm in an orchard. His property was located in the mountains east of Hueysville. If you plan to search for treasure on private property it's always a good idea to ask for permission from the property owners. Will you be going on to State or Federal Lands? You can get arrested for breaking the above law. It does happen. I have listed a few of the incidents of people who have unknowingly broke the Antiquities law at the link below. Be careful! Buried treasure in Kentucky may be located in ghost towns.